Email marketing is more than important today. So many tools for email marketing are available on the market; how will you choose the best one? We give you full insight into the most powerful tools that bring some great innovations and allow you to have completely customer-oriented email marketing campaign. You have certainly heard about Mailchimp. You might use it as well. However, it may not be the best tool for your small business. Here are the most effective alternatives to Mailchimp that give you more options and help you grow your business. Omnisend represents all-in-one email and marketing tool for online sellers who want to create campaigns in minutes, engage with audience with some great solutions and create automation flows that target subscribers with ultimate segmentation. Omnisend is the only tool on this list that actually offers very dynamic elements for keeping your customers engaged. From discount giftboxes and scratch cards in email messages, to Wheel of Fortune email capture, your customers will stay interested in what you have to offer. 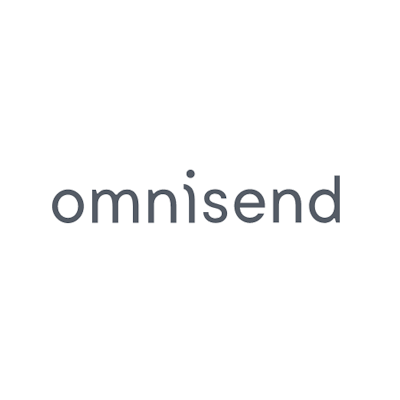 With Omnisend, you can build sophisticated omnichannel marketing automation workflows that incorporate a variety of channels into the mix to create a unique omnichannel experience for each customer. Easy scaling means that Omnisend grows with your brand, enabling you to do more for your customers sooner. This tool offers plans that are based on the amount of subscribers, including a free plan that allows you to send up to 15,000 emails per month. You can get a Standard plan for only $16 per month and has add-on modules so you can build your own customized plan. 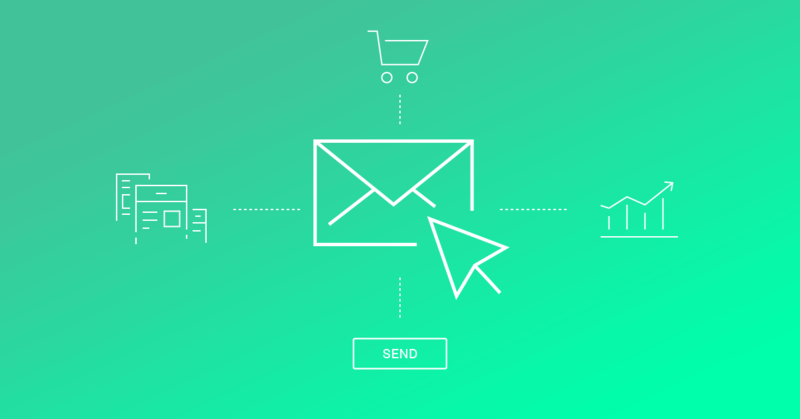 Drip puts the focus on effective workflows that allow simple automation of email campaigns. Clear channels of communication give you options to compose messages, headers, footers and other details for effective visual workflows. 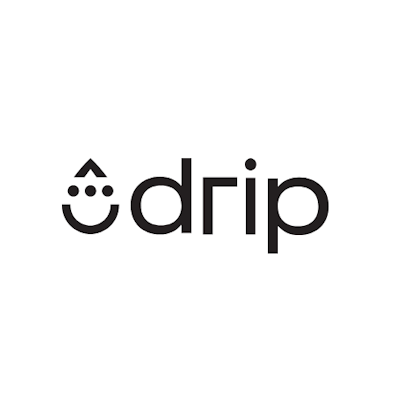 Drip is made to provide best options for people who are just starting out with email automation and marketing. If you’re in a rapid development phase in your business, it might be better to choose a tool that scales better. Plans within Drip are completely based on the number of subscribers. Up to 2500 subscribers are covered with the Basic plan at the price of $49. The Pro plan is perfect for 5000 subscribers and you can get it for $99. Simplicity is the main thing about SmartrMail. Automated email sequences and very simple email capture popups are perfect for creating you own segments dedicated to the specific audience. Segment your audience according to shopping behavior, profile data and special preferences. SmartrMail has a very visual platform which makes it easier to understand for beginners. However, this tool lacks a lot of the more advanced features that other tools on this list have as a standard. 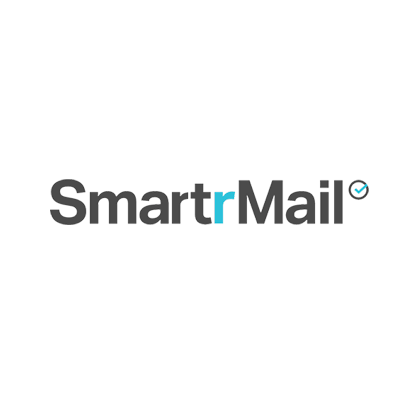 For those who need just basic email automation functionalities, SmartrMail might be a good choice. With this tool, you can use any plan for 15 days for free. After that initial period, you are able to get the Basic plan for $29 per month, or the Advanced plan for $99, or the Enterprise plan for $1999 per month. The options are numerous and they depend on your business size. 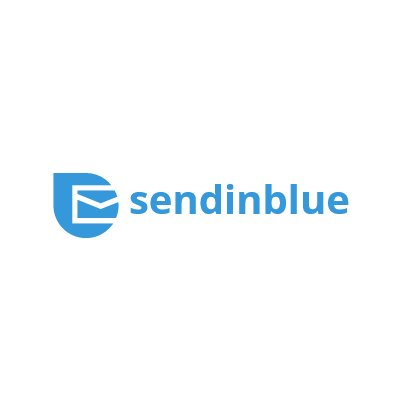 As one of the better visual builders on this list, SendinBlue allows you to create automated email campaigns including SMS in the mix. This tool is great for those who need simplicity and don’t want fancier features. Their email builder it a bit limited, however it’s one of the best email builders I’ve seen yet. Automated funnels are there to give you answers about user behavior every time you want to create automated campaigns. 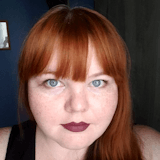 With SendinBlue, it is not all about subscribers. It is all about number of emails. You can have unlimited number of subscribers and you can still have a free plan. It is limited to 300 email per day. A more advanced Lite plan is available for $25 per month and you can send up to 40,000 emails. Other plans are tailored for a larger number of emails where daily limits are lifted. With more than effective features, Klaviyo is there to offer some great email automation possibilities. Users are able to create email capture popups, automated workflows and segmentation. Klaviyo offers the whole package, much like Omnisend. 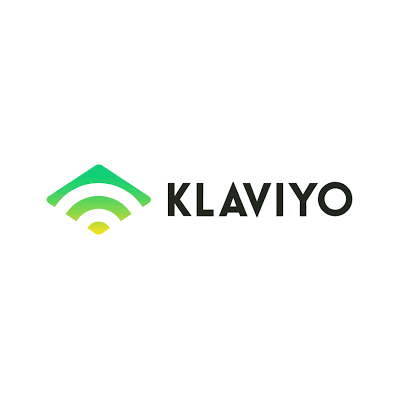 However, the one thing that tends to make many small business owners turn away from Klaviyo is their pricing. As the most expensive tool on the list, Klaviyo is both good and bad. You have to invest more money, but the options you get are quite effective. The free plan is made for 250 contacts and up to 500 emails per month. After that, the prices jump significantly. For 1001 subscribers, the price is $75 per month. If you have a larger list of subscribers, and another plan covers 2001 and more subscribers for $125/month. When searching for a new email marketing tool, it’s important to do your research and test each tool that interests you. While all of these tools are great, they may not be great for your individual business. Depending on what you need, different tools will be better for you. For example, Klaviyo and Omnisend are the most advanced and feature-rich tools on this list. Omnisend and SendinBlue have the most user-friendly interfaces. For price point, it depends on how many subscribers you have because some tools scale disproportionately with the amount of contacts you add. You just need to look into them and choose what’s ultimately best for you. Hopefully, this article has proved as a great launching pad to get started. Posted February 21st, 2019 in Email Marketing. Tagged: campaigns, email marketing, marketing automation. Remember the time when people used to send out hundreds of emails to promote their products and services? With the rise of social media marketing and personalized messaging services, everyone thought the whole email marketing thing was in the past. But guess what! It isn’t as obsolete as one would think it to be. Quite a few recent articles indicate that email marketing is still alive and apparently just as effective as it used to be. In fact, even today, email marketing is considered to be the most personalized form of popularizing your brand. It’s easy for people to overlook your social media advert while scrolling through their wall but something that’s sitting in their inbox is bound to get just a little bit of their attention. Plus, it is targeted to reach your selected audience in the most easily shareable mode, at virtually no cost. What’s not to like about that?! While we’re on the topic, it is worthwhile to point out that if you’re a small sized business or a professional who is just starting out, hand-creating emails and sending them out to hundreds of target users can seem very daunting. But then, hiring email marketers charging hefty sums to do the job is even more out of reach, which causes many people to slightly unwillingly resort to the afore-mentioned social media marketing technique. What if we told you that you could employ an extremely talented email marketing specialist to promote your brand at a price that’s very agreeable to your pocket? A specialist who wouldn’t bog you down with needless discussions or excuses, and just send out your proof-read emails to your target audience automatically for as long as you wanted? Well, meet EmailOctopus. EmailOctopus – email marketing revamped! EmailOctopus is an email marketing service that lets you broadcast emails to thousands of users for an unbelievably low price, thanks to its strategy of linking with your Amazon SES account. Amazon SES (Simple Email Service) enables you to send and receive emails using a reliable and scalable email platform and that too for a price as low as $0.10 for every 1000 emails sent. All you need to do is create an AWS (Amazon Web Services) account followed by an SES account and get your SES account enabled for email sending. Once you’ve done that you should be all set to start sending your marketing emails. Unfortunately though, the Amazon SES platform doesn’t support “user-friendly” features like uploading email lists, drafting and sending emails. So that is where EmailOctopus steps in. With EmailOctopus, you get access to an easy-to-use interface for uploading your email list and drafting emails, and once you’ve done that, hit send and the emails go out via your Amazon SES account. Think of EmailOctopus being the Mail app in your phone and Amazon SES being the mail server like Gmail which actually sends you mails and you’ll get the picture. Lists – A summary of your target recipients’ lists. You can create multiple lists here and give each one a unique name to identify them and send emails as per need. 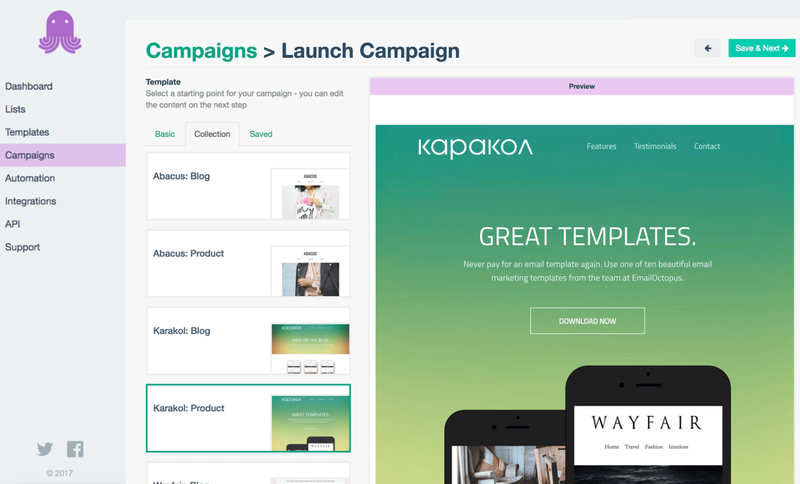 Campaigns – A summary of all email marketing campaigns you’re running via EmailOctopus. Details for each campaign like its name, number of users targeted, date of starting, etc. will be shown. Here you will also be able to see the percentage of users who opened or clicked your marketing emails and also how many unsubscribed. To create a new email marketing campaign, click on the green colored “Create” button in the Campaign screen. Fill in details like campaign name, subject of the email to be sent, sender’s name and email address. Also make any edits to email content if you wish and then click on the “Save and next” button. Next, you’ll be shown a preview of the email which will be sent. You will also be prompted to select recipients for the email. The names of all your lists will be displayed here along with the number of users in them. Select the appropriate list, also pick a time of sending the email, and then click on “Send”. That’s really how simple it is. 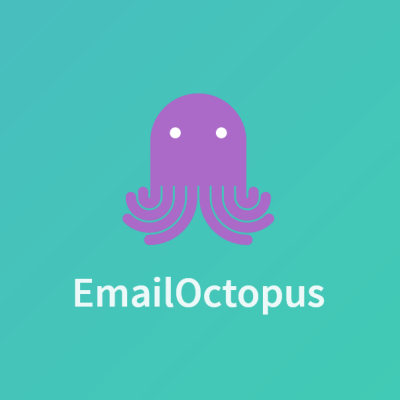 EmailOctopus is an awesome tool focused on making things simple and affordable for people and we honestly couldn’t find a downside to it. Except the fact that you need to go through the additional step of creating an AWS and an SES account (if you don’t have them already) before you can start sending emails with it, there isn’t much of anything to complain about. And hence we decided not to focus on finding a fault, instead highlight what this tool does best – making things budget friendly by using one of the world’s most affordable emailing services. EmailOctopus is the helping hand that delivers your marketing emails from your end to your users via Amazon SES. And it really is extremely easy to use. If you’re looking for a reliable, scalable, and fun way to promote your brand while making minimum investments, this tool is definitely worth a try. Posted May 8th, 2018 in Email Marketing. Tagged: automation, bulk mail, drip campaign, newsletter. One of the most critical aspects of email marketing is the want for the expected customer response. Companies typically dedicate a lot of their time and resources into creating the perfect marketing emails. But if such emails don’t interest the target audience, it’s all a waste. So how do they get to know if their emails worked? They track them. Email tracking tools have become the new “in-thing” for outbound communications. Not just companies, individual professionals and freelancers too are investing in them to know if and when the email proposals for business opportunities they’re sending across are being viewed by the recipients. And thanks to such tools, they also get to know if their emails are sent to trash without even being opened. And that information can be crucial in pinpointing exactly what it is about their outgoing emails that needs to be improved. Needless to say, a tool which can offer that kind of insight into emailing can prove to be a valuable asset to any business. MixMax does exactly this and much more. 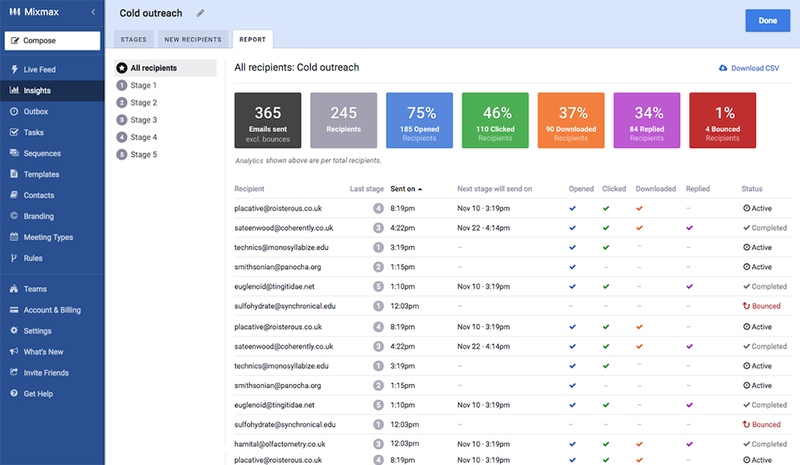 In addition to real-time email tracking, the tool offers users the chance to schedule their emails, create them with a few clicks using prebuilt templates, analyze the response through analytics, and much more. Read all there is to know about MixMax in this post. Email Management features like email monitoring, queue manager, routing, shared inboxes, etc. In addition to the above features, MixMax lets you personalize your emails with unique signatures for all of your email addresses. Moreover, you can look more professional with your company logo and name on all embedded content including polls, surveys, web previews, and invitations. 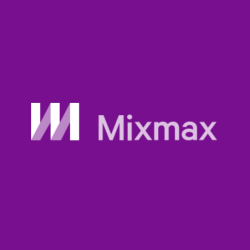 All-in-all, if used the right way, MixMax is a great sales and marketing tool. First things first, there are more than one ways to use MixMax; in fact, you can use it as differently as each of its features. The best way to learn how to use each feature is to visit the tool’s website and hover on the “Product Tour” link in the main menu. Here you’ll see a list of all features of the tool and on clicking each one, you’ll be taken to a blog post explaining that feature and how it works. You could also signup for the free trial to experience some hands-on action, of course! We followed these steps and sent a test email to an email id. Then we went back to the Live Feed section of MixMax to see real-time updates. Side by side, we opened up the email which was the recipient in another browser and read it. Sure enough, within a few seconds our Live Feed reported that the recipient had opened our email along with other helpful statistics as to whether the email was replied, clicked, downloaded, RSVP’d, bounced, etc. So yes, MixMax really works! For organizations and individuals who can afford MixMax, the tool’s full version doesn’t leave any stone unturned to help boost your sales and customer engagement. While that is true, the tool’s free version is good too for basic things like tracking customer response to your emails, analyzing who clicked the links within them, etc. So we give MixMax a thumbs up! Posted March 2nd, 2018 in Email Marketing. Tagged: analytics, automation, clicks, opens, tracking. The professional world would crumble without efficient emailing. A simple conversion between two people becomes official, substantial, and binding if converted into a properly drafted email. Letters of appreciation, job offers, projects contracts, designs, work documents, assignments, invoices, bills, etc. are all exchanged over email in the modern day and age. So it wouldn’t be baseless to say that, if you don’t know how to compose an appropriate email, you might find it extremely difficult to survive in a setting that uses tools like MS Office 365, Thunderbird, Apple Mail, and the like on a regular basis. Overwhelmed? You don’t need to be. Because tools like BeeFree have been developed specifically to hold your hand through the email drafting process. Check out how this simple yet brilliant tool can help you become an email pro in a few clicks. The name BeeFree actually stands for “Best Email Editor – Free” and is a part of the MailUp Group. The tool can be used as an online email editor and can also be embedded into SaaS applications. 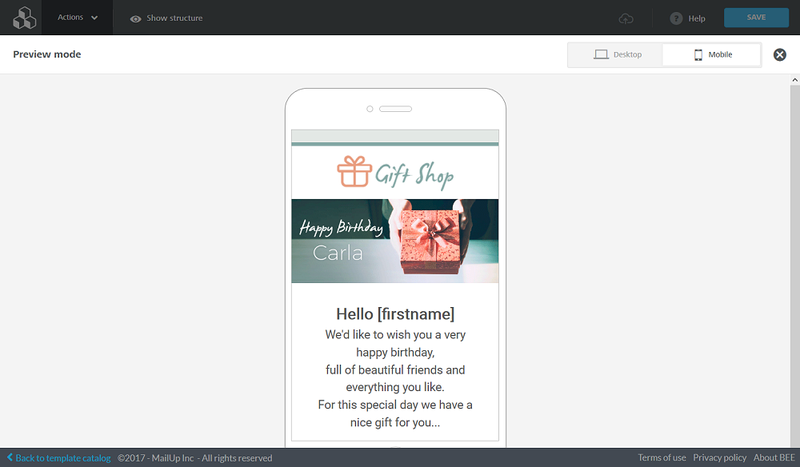 It is a drag-and-drop based email designer and builder for mobiles and hand-held devices which enables users to create mobile-responsive emails quickly and easily from anywhere. That’s how simple it is! 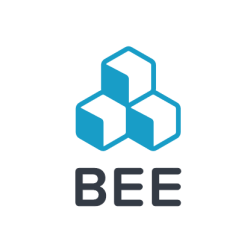 And if you find the free version of Bee interesting, you can always invest a little money and opt for more features with BeePro or BeePlugin. To start using BeeFree visit the tool’s homepage and click on the blue button that says “Start Designing”. This will direct you to the templates catalog from where you can choose the right email template for your purpose. There are a ton of categories to choose from including newsletters, events, e-commerce, and more. If you don’t find any template particularly interesting, you can start from scratch by using the first icon on the top-left corner (the blue colored one that says “Start from Scratch”). We tried out the tool both ways and here are the steps for each. From the right hand panel, select what kind of Content you wish to insert into your email design. Your choices include Text, Images, Buttons, Dividers, Social, and HTML. You can choose any combination of these elements too. 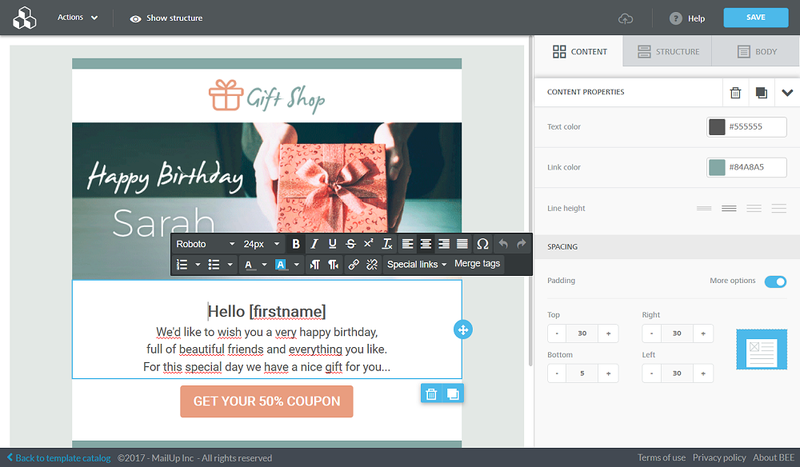 Drag and drop each Content element into the left hand area of the editor. Click on the “Structure” tab in the right hand panel to decide and pick the layout of your emails. To apply a layout, drag and drop it into the left hand wider area. Click on the “Body” tab to pick from options like background color, content area color, font, link color, etc. Once you’ve designed everything and keyed in your email matter, you can preview what your final email will look like by clicking on the “Actions” drop down from the top menu and then selecting “Preview” option. You can view the preview for both desktop and mobile with this option. You can also choose to send a test email with your design to any email id you want. At any point if you think you need guidance, simply click on the “Help” button from the right corner of the top menu. When your design is ready, click on “Save” button to download the whole message with all HTML and images to your device. There isn’t much of a learning curve attached to the tool which is good. Plus, it has ample reading material to supplement user’s understanding. And of course, the multitude of templates is an added bonus. You can’t do much beyond changing typeface, font size, color, photos, buttons etc. For any more flexibility than this you’ll have to go pro, which is kind of fair. All in all, BeeFree is a nice tool. If a simple and quick email design is what you’re looking for and you don’t need any hassle, this is just what you need. Posted October 27th, 2017 in Email Marketing. Tagged: design, editor, email, layout, RWD. Email tracking is becoming more and more important in this day and age. The traditional method of sending an email and waiting for an acknowledgement from the recipient requires a lot of patience. Today, technology allows you to track the life of your email, from the moment it was opened by your recipient to the time they downloaded your attachments. Email tracking is useful to cultivate relationships with your clients at a time when it has become increasingly difficult to maintain customer relationships in the cutthroat environment of the online marketing world. While we didn’t previously have the option of tracking our emails, now there is an abundance of email tracking tools and applications that you can use. Of them is Bananatag. One added benefit with Bananatag’s email tracking is that you can use it to schedule emails too. 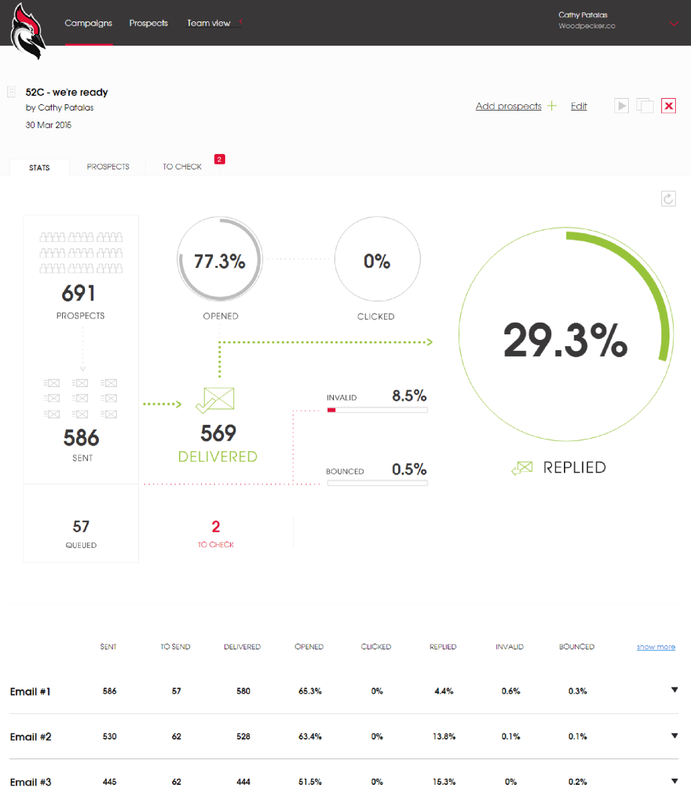 Metrics dashboards: Users can view data as opened emails versus unopened emails, unique clicks versus repeat clicks, and un-clicked emails versus clicked emails. Resource dashboard: This dashboard provides downloads for plug-ins such as Gmail, Microsoft Outlook and so on. 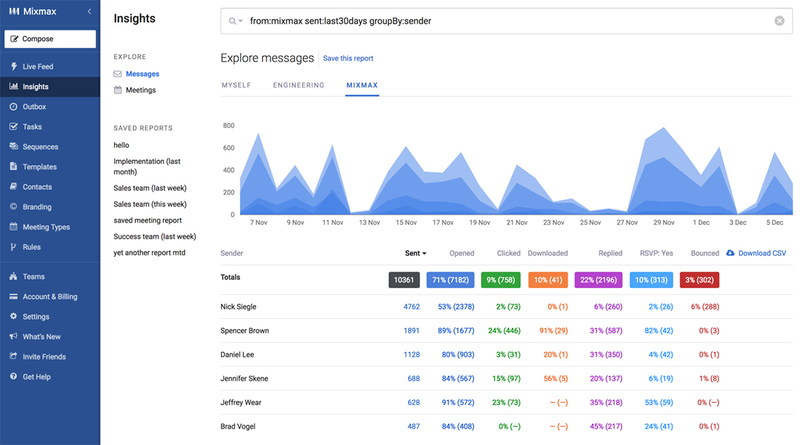 User dashboard: Users can use this dashboard to view data such as the emails that they have already tracked, the amount of time that has passed between the sending and the opening of the emails, etc. Email tracking: After you link an account to Bananatag for tracking your email messages, Bananatag sends you a notification for every email that was clicked by your recipient and every email that was opened. 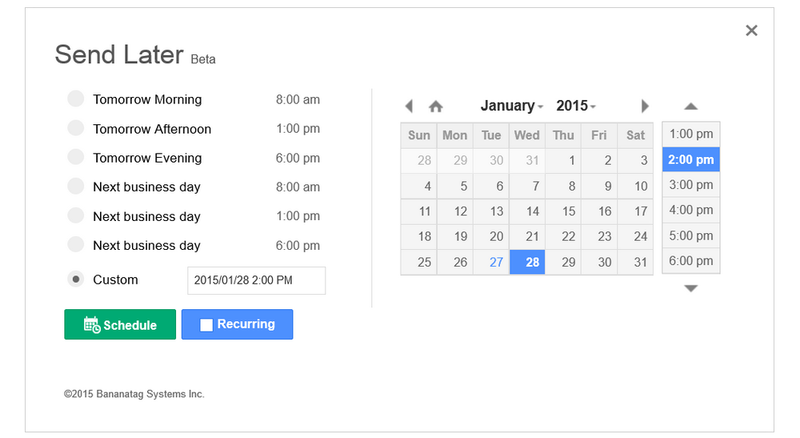 Email scheduling: With just two clicks, you can use Bananatag to schedule your emails to be sent at a later time. You can select the date and time for an email to be sent. Also, you can set a recurring time for certain types of emails to be sent periodically, like newsfeeds or customer engagement emails. Templates: If you have no time to compose basic messages, Bananatag has you covered in that area too. You can use variables (up to three variables per email) to customize the details of your email with the same basic template provided by Bananatag. Attachment tracking: Probably one of the USPs of Bananatag, the application lets you view heat-maps for all your attachments, including presentations, documents, spreadsheets, and more file types. It will give you data such as the time spent on viewing each page of the attachment, the total page views, etc. 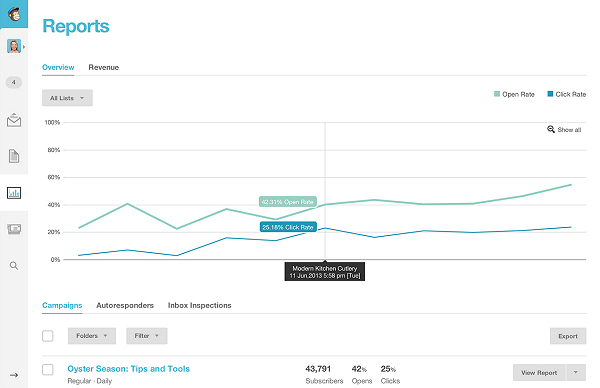 Email analytics: With this feature, you can view the success rate of your emails. It gives you a detailed view of the number of emails you sent on a particular day, the number of emails that were opened, the number of links that were clicked, the percentage of emails that were opened on a mobile device as compared to those that were opened on a desktop device, and the usage of the templates. 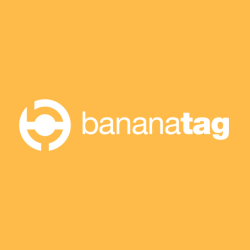 Once you download Bananatag’s Gmail or Outlook plug-in from their site, it is pretty simple to decide if you wish to take the ‘For Sales Teams’ or the ‘For Internal Comms’ plan. After buying and installing the plug-in, you will be able to schedule and track emails with the Schedule and Track buttons on your compose window. For tracking links and attachments, you need not perform an extra step. Only clicking the Track button in your compose window will do the trick. Your tracked emails are sent through your own server, which means that they arrive from your own email address. So you can always be assured of data security. 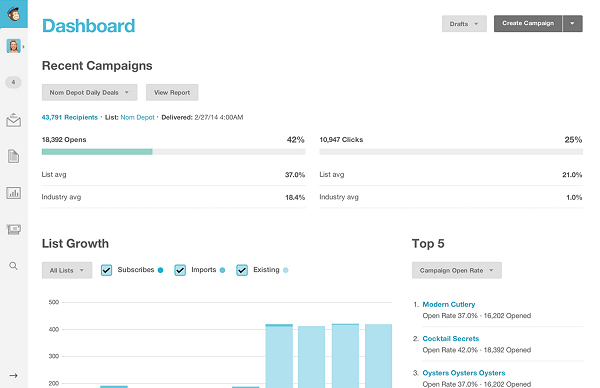 You can use the dashboard to view the metrics of your email interaction. To track emails, links and attachments, click the Track button on your compose window before sending the email. To schedule an email to be sent later, click the Schedule button on your compose window. The Schedule window will display the calendar and the clock to set the preferred date and time for the email to be sent. Clicking the Recurring button will allow you to set an email for sending periodically. Log on to their website with your log-in credentials to be able to view the metrics of your emails. The Pro plan can be bought for $6.25 with the capacity of tracking 100 emails a day. The Team plan is offered at $12.50 with the capacity of tracking 200 emails per day. The Internal Comms plan, although expensive at $200, allows you the capacity of tracking 200 emails a day along with the ability to send distribution lists and tracking internal communications. With a free plan and different plans for different purposes, Bananatag is a star email tracking application. While it could do with plug-ins for more email applications, we are still okay with support for Google and Outlook. Better than its counterparts, Bananatag emerges a winner in this fight for the best email tracking application. We suggest you give it a try too! Posted September 21st, 2017 in Email Marketing. Tagged: email, scheduling, tracking. Lest you get confused by the title of this review, let us give you a brief about what email preview tools are and why they are needed. There are no established standards for displaying emails, so emails rendered with different webmail services and different email clients have totally different look and feel. Most users view emails on mobiles and handheld devices nowadays. So while you may have designed email templates on desktops, the final outgoing emails can look totally different on the devices your audiences use. Most webmail services and email clients by default block images in emails unless the user takes specific otherwise action. If the above reasons don’t prompt you to preview your outgoing emails and get an idea of what they would look like at your users’ end, we don’t know what will. 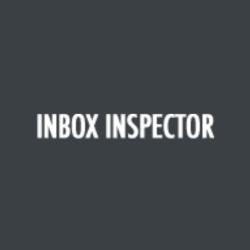 Inbox Inspector allows you to monitor and test your email / newsletter designs by previewing them on a number of popular desktop and mobile email clients. The tool enables you to see what the recipients of your newsletters would see when the mails you send them reach their inbox. That way, you can be sure that the hours of work you put into designing email and newsletter templates doesn’t go waste owing to environment differences at your users’ end. Using Inbox Inspector is unbelievably simple. Just land on the tool’s homepage, punch in your name and email id and click on “Preview my email”. You’ll be directed to a page that’s simple – no flashy dashboards or confusing options. Just a left hand panel with 4 clickable options, viz. preview new email, watch video tutorial (which is quite self-explanatory by the way), FAQs, contact. Though you’ll be able to see a “My Previews” button on the top right corner of the screen, we’re not really sure why it’s needed. There were no signups required so how would the tool keep a track of the previews for a particular visitor? Note: We later found out that the tool maintained session history of each user. So clicking on “My Previews” button showed us all email previews we had seen in our current session. Pasting HTML code – Clicking on this opened a panel with fields to enter email subject line and the HTML code for the email. There was a Preview button to be clicked once the code was pasted. Sending the email – Here, the panel that opened listed instructions through which we could send the tool the email we wanted it to preview. We had to login to our inbox, choose the email for preview, and send it to the address provided by the tool. Then click on a button saying “Okay, I’ve sent it”. Entering the URL address – This required entering the URL of the email message if it was available online. Clicking on each result opened it up on a new page so we could analyze the look and feel of our test email and make changes accordingly. There was no limit as to how many times we ran the tests, each time we needed fresh results or wanted to send a new email to the tool, all we had to do was repeat the basic steps. Note: If for any reason you have to refresh the ‘Preview New Email’ page where you pick a method to send test email to the tool, remember to note the target email id the tool provides. It’s different each time. We’d like to summarize the pros of the tool in a single line – it’s neat, simple, and free. After a long time, this was a tool that wasn’t really impressive. Yes the purpose behind building it is genuine, but it doesn’t strike as an extremely useful tool. There are better alternatives out there. Posted June 29th, 2017 in Email Marketing. Tagged: bulk, client, gmail, newsletter, preview, webmail. Effective communication is one that’s promptly followed up. But what do you do if you’re travelling / having lunch / visiting the doctor / same such when you’re supposed to be replying to your client’s “urgent” email? Reply after a while, of course! Sadly, that might not always work out for the best. Some conversations are just too important to be replied to at leisure. Like a job interview invite, for instance. Take a little time to reply and someone else might fill up the space; or a delayed email to your long-distance girlfriend might lead to a break up. Okay that was a bit dramatic, but on a serious note, what do you do when you need to follow-up on an important email chain but you aren’t sure you’ll be able to get hold of a computer when you need to? The answer lies in automation. Automate your email follow up, and while you’re at it, make it interesting. Meet – Woodpecker. Woodpecker is a one-of-a-kind online tool that lets you send out follow-up emails but at a frequency that makes the receiver believe you’re sending them yourself. You can set up how many emails you wish to send out and at what times so that it doesn’t look automated. What’s more, the tool intelligently detects replies to mail chains and stops further follow-ups accordingly. Replies from different addresses, forwards, and auto-responders are also detected. Woodpecker is a boon for people who market or keep in touch with their client base through regular cold emails. You can contact an unlimited number of prospects with personalized cold emails daily to build solid revenues. Moreover, the tool shows you who opened one of your automated emails and when or clicked your link. 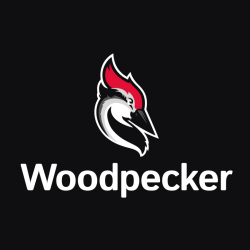 Talking about the tool from an organization’s point of view, if more than one person (or a team) is responsible for sending follow-ups, Woodpecker ensures the same people aren’t addressed twice. That way you don’t end up spamming your prospects and everyone stays happy. Support for exporting leads through Zoho, Zapier, Pipedrive, etc. To let the guys at Woodpecker give you a nice demo, click on ‘Get a demo’ at the upper right corner of the homepage. To try it out for yourself, sign up for a 14 day trial without providing any credit card information. Thereafter, you can choose to watch a sweet 3-minute tutorial-of-sorts to know your way around the tool’s interface. But even if you don’t watch it you’ll be able to figure the tool out. That’s because there isn’t much of a learning curve involved (plus point in our view). The values for these fields will be mapped from your Contact address book that you import into Woodpecker. Or you can add prospects (Contacts, clients) individually through “Add Prospects” button on the lower right side of the screen. Thereafter, set a delivery time to send out the emails and select any additional settings you want (like tracking email opens). Once all settings are in place, hit “Save as Draft” or “Save & Send” to proceed. In the trial account you’ll be entitled to send out 150 emails and track how many of them were opened. You’ll need to upgrade your membership to access the tool’s full features. We tried sending out 5 dummy emails using Woodpecker and the tool worked exactly as described. Our content was there, all first names mapped from the Contact excel sheet that we imported, and we didn’t need to carry out any monitoring. The tool reported which emails were opened and when. Neat and simple! Pros – the tool does what it says, smartly, hassle-freely, affordably. Cons – at the end of the day, it is just a tool to automate email follow-up. Today most people have anti-spammers installed in their emails to directly send automated email follow-ups to the trash. Wait a minute! doesn’t Woodpecker detect automated responses too? What if your receiver uses it and it flags your automated follow-up? Guess it comes down to the value the tool can bring to your organization. It could be great for start-up and small organizations but for huge corporations that have dedicated marketing and sales teams, not so much! If you’re looking for a quick and affordable way to get in touch with a lot of prospective customers, Woodpecker could really help you out. That is keeping the risk of your emails going to the trash in mind. Try it to make an informed choice. Posted April 4th, 2017 in Email Marketing. Tagged: cold email, follow-up, lead nurturing, marketing automation, outreach. 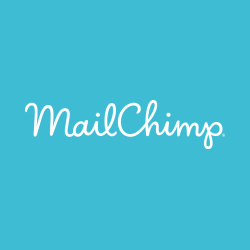 MailChimp – Send Better Email! Marketing your products or services to a group of people using electronic mail services is called Email Marketing. Email Marketing reduces the delay a business would have in interacting with potential and current clients. It is meant to develop trust, loyalty and brand awareness among people. Email marketing is essential for a business to get new customers, increase conversion and sales but also in getting customer reviews and other offers to current customers. MailChimp is a Web based email marketing service which is easy to understand and has many useful tools integrated. The best thing about Mailchimp is that it offers 12000 free monthly emails to less than 2000 email contacts. Though this Freemium option won’t let you access all the features and you would have a MailChimp icon added to your email but in my opinion this is acceptable for sending free 12000 emails per month. This free service is very helpful for startups and small business having shoe string budget. MailChimp has many features that would help you to create an effective email marketing campaign. MailChimp provides subscriber details, Personalized and Automated emails, Advanced Analytics, Design Flexibility, And after installing its mobile application you can send emails anytime, anywhere. Integrated with all the features that work for you MailChimp is one of the best email marketing service you can opt for. MailChimp allows your subscribers to easily share your email marketing campaign on social media. You can also share the emails on your social networking accounts using MailChimp. Using Mailchimp you’ll be able to update Facebook, Twitter, Tumblr and Delicious with latest information about your email marketing campaign. It also provides information about who has tweeted about or liked your business on Twitter and Facebook respectively. Subscribers use different email clients such as Gmail, Hotmail, Yahoo and more. MailChimp provides a preview of your email on 10 popular email clients used by your customers or subscribers. Email Previews help you ensure that your emails are working and have a proper format whenever a subscriber views your email. 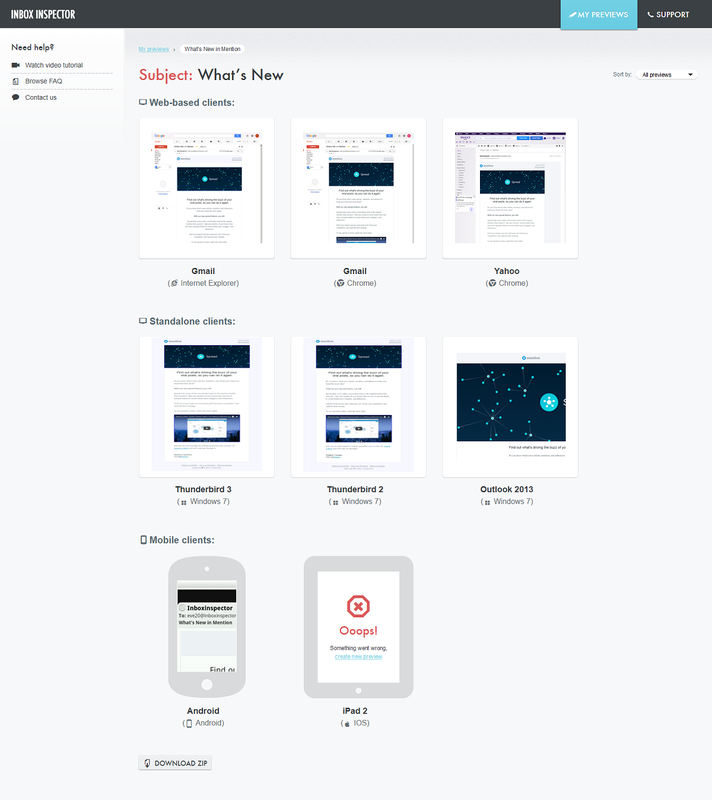 MailChimp offers many professionally designed templates for your email to choose from. It even allows you to add your own HTML code and have a personalized design for your email. You can add images and customize the design according to your needs. Now, to ensure that your mail doesn’t land up into the subscribers spam folder MailChimp sends it to the Delivery Doctor where the mail is tested to check the spam score and errors in your HTML code. MailChimp collects information regarding the subscriber activity analyzes the data and gives a visual representation of all the data in various formats. These graphs provide details about customer interaction with email campaigns. It also shows the growth one has in subscribers via click tracking and focusing on the HTML5 chart. You can get these details for a specified period of time and it also would indicate the best time to send your email campaigns by using the Open and Click over Time chart first, that will show the number of subscribers who read your mail along with the time it was read. This would help you decide at what time your emails are read the most. MailChimp allows you to segment your audience and target them with different campaigns at different timings. It allows you to automate email sending options based on their activity on your website. MailChimp lets you know what content your customers care about and you get to know more about your customers too. It is easy to integrate MailChimp with the web services you are using already, easily sync data, import content and generate reports to know the influence of your email campaign on your business. They have integrations for commonly used tools like WordPress, Twitter, Magento, Facebook and Salesforce which help you create much smarter email campaigns. These integrations make it easy for nonprofits to manage donors, track purchase and tackle every unique problem one encounters in his business. Autoresponders are automatic email campaign available for premium accounts only. You can use an autoresponder to create a tailored welcome email or send automatic birthday messages and increase subscriber engagement. An autoresponder would send an email to your subscribers when they meet a specific criteria. Economical, Free up to 2000 subscribers. No Contract And No Credit Card Required. Offers Great Free Learning Resources so that you can easily create effective email campaigns yourself. RSS to Email Option, so that whenever you update your blog an email is sent to your subscribers. Crossing 2000 subscriber, you would have to pay for availing this service. For around 2500 subscribers your bill may be around 30$ per month and when you reach 5000 subscribers you would have to pay around 50$ per month. Autoresponder, which would respond to incoming mails automatically comes in only when you upgrade your account. Links to humorous videos on the website can distract you from focusing on your campaign. MailChimp offers monthly as well as annual plans which are very economical and it is estimated that if you invest 1$ on an average on email marketing the return on investment would be around 44.5$. The monthly plan would charge around 75$-240$ or more depending upon your subscribers. While the annual plan starts at 900$ to around 2880$ which would again depend on number of subscribers. Lastly, I would recommend you to try MailChimp as it is cheap, much easier to use, it is very effective and though there are many other email marketing tools available but I don’t feel like any other tool would offer 12000 free emails that too with awesome services almost comparable to any of those paid services. Posted May 13th, 2014 in Email Marketing. Tagged: autoresponder, bulk mail, design email, email analytics, email list, email templates.